HONOLULU—In honor of the 20th anniversary of the sister-state relationship between Hawaii and Hiroshima, the Honolulu Japanese Chamber of Commerce created a new program in partnership with the Hiroshima Prefecture Government and the State Department of Business, Economic Development and Tourism (DBEDT). 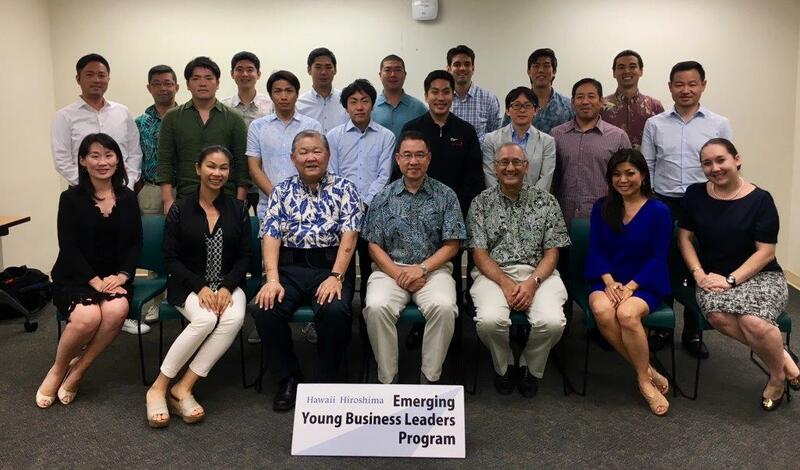 A total of 19 participants were selected into the inaugural program, with nine individuals from Hawaii. The delegates are currently involved in a wide range of industries including real estate, construction, finance, data base management, hotel management, retail, restaurant, law and government. The initial phase of the program took place from Nov. 13 – 16, 2017, in Honolulu. Over the course of the four days, the delegates were immersed in an intense executive leadership training program to expose them to the skills needed to be leaders in their companies and communities. Participants were also educated in Hawaiian cultural values and how they reflect attributes that build strong and vibrant communities. The same group will travel to Hiroshima from March 5 – 8, 2018. The Japan visit will enlighten participants on the virtues that made Japan an economic powerhouse. The inaugural Hawaii participants in the program were Edward Kiyo Egashira, Ina Chang, James Tenrai, Jill Kuramoto, Rick Mishima, Kevin Ching, Kristin Alm Kamakahi, Lucas Love, and Michael Lim. For more information about the program, contact Wayne Ishihara, president & CEO of the Honolulu Japanese Chamber of Commerce at wayne@hjcc.org; phone: (808) 949-5531.